We are here to serve you and your stump grinding needs. Look around our web site, We hope you find the information you need. Thank you for visiting our web site. As an up-to-date business, we want to give you the opportunity to stay in touch with our company and offers. A new content management system will enable us to always keep you up to date. We are making every effort to present you with information regarding calculating cost, services provided and pictures to give you a little better understanding of the services we offer. If you have any questions that aren't answered on the web site please contact us. In brief, you should know the following about us: Our company was established in 2002 and has been responsible for providing outstanding stump grinding service since. We are not a tree service but do have many years in the tree service industry. We are capable of cutting down small trees and shrubbery. Our regular customers particularly value our thorough, professional work and honesty. We proudly offer affordable stump removal and affordable stump grinding options. Stump removal cost and stump grinding cost doesn't have to be expensive. 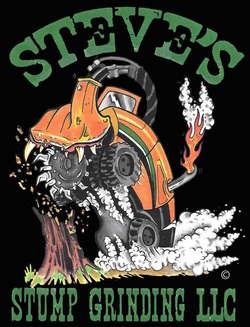 Call us today and get the affordable stump removal company you've been looking for. We don't waste time either, our experience allows us to provide fast stump removal and root removal leaving you a satisfied customer. We are the best tree stump removal and tree stump grinding business around, so if stump & root removal is what you are looking for, let us help. Our business is located in Salt Lake City, Utah, but we provide service for Salt Lake City, West Valley City, Millcreek, South Salt Lake, North Salt Lake, Magna, Holladay, Sandy, Murray, West Jordan, Draper, South Jordan, Riverton, Cottonwood Heights, Herriman, Woods Cross, Bountiful, West Bountiful, Centerville, Farmington, Fruit Heights, Kaysville, Layton, Clearfield, Lehi, Alpine, Highland, American Fork, Lindon, Orem, Provo and Springville. If you are looking for a subcontractor, we work closely with several professionals in the industry.